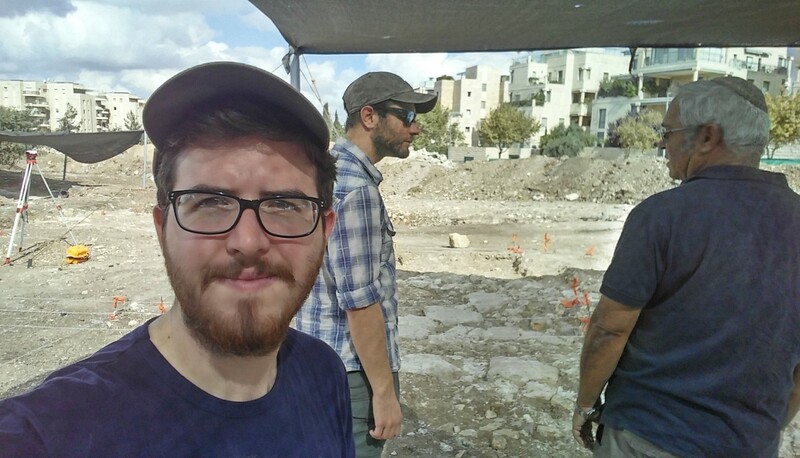 Several weeks ago, the day before my birthday, I had a day off from classes which had begun with the new semester mid-October and decided to participate in an ongoing excavation led by the Israel Antiquities Authority. 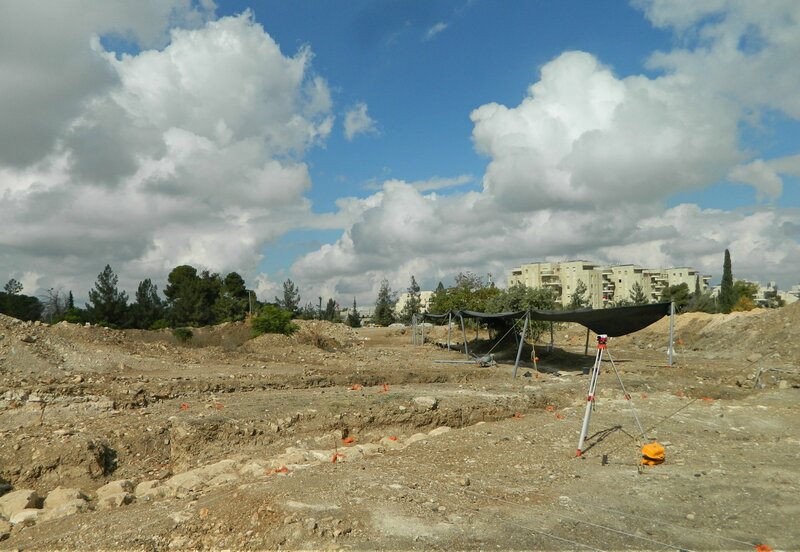 My friend Ben joined in on the fun and we made our way to Jerusalem in the morning, heading for the dig located in the southern part of the city, below the Armon Hanatziv Promenade. 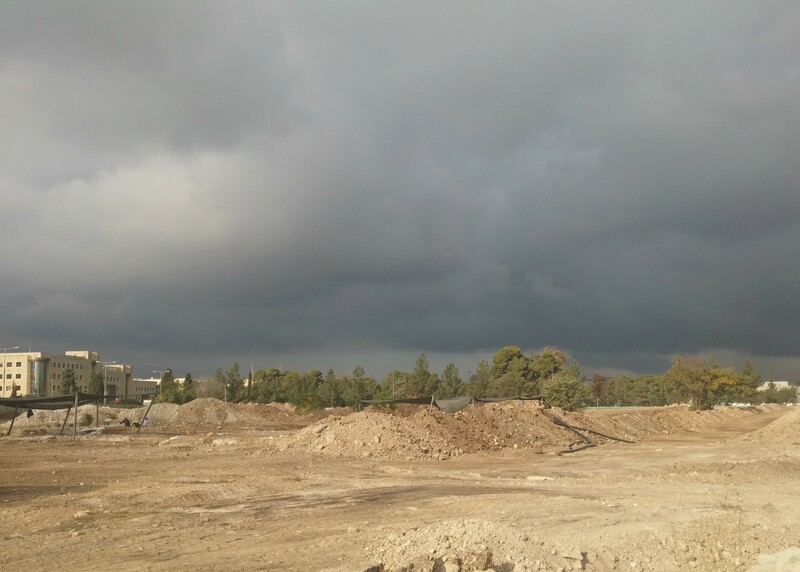 Heavy rainclouds loomed overhead as we approached the construction site where our dig was taking place, where remains of the Greco-Roman aqueduct was found and a salvage excavation was opened up. We passed the hard-hatted workers and construction vehicles as we made our way to the black-tented excavation area. Meeting Yaakov Billig, the IAA director of the dig, we were briefed on the historical and archaeological situation of the aqueduct. In short, during the late Hellenistic or Roman times an aqueduct was constructed to bring fresh water from reservoirs near Bethlehem to the Old City of Jerusalem. Many attribute the construction to Herod, as he was responsible for a huge building boom, but others prefer to credit the Hasmonean dynasty. Known as the Upper Aqueduct, the elevated structure sloped ever so gently down towards Jerusalem – important for identifying the intermittent sections found between the reservoirs and the capital. I don’t recall the exact height from the briefing, but according to various online maps I think that we were at 778 metres above sea level. Regardless, mapping the slow drop in elevation is crucial for correctly identifying remains of the same aqueduct. In addition to the remains of the aqueduct, there was also what seems to be a large building and then a serpentine plaster water channel running perpendicular to the stone aqueduct. 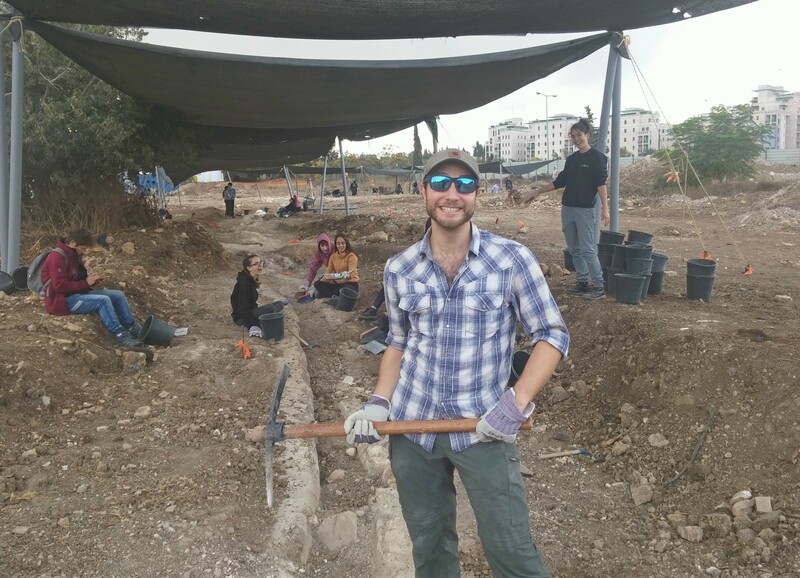 When our briefing ended, Yaakov handed us over to Rivka, the supervisor for the plaster channel area, and we were put to work on the far end. 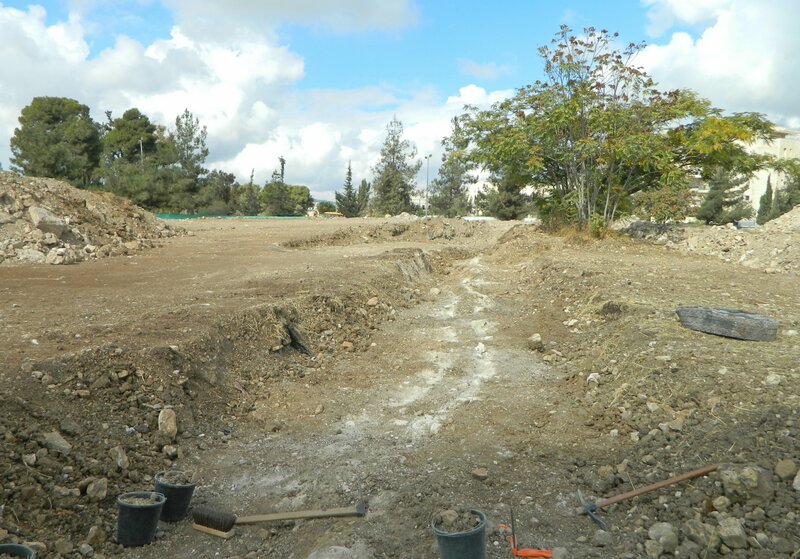 Our task was to further define the channel which had already been crudely exposed by a bulldozer. We armed ourselves with pickaxes, hoes and black plastic buckets and got to work. Just a few metres away was a small group of schoolchildren who provided us with fun music and conversation to which we worked. We picked, cleared and defined, moving slowly west down the channel, working gingerly around the delicate plaster. There wasn’t much in terms of artefacts, not even any interesting potsherds at first. 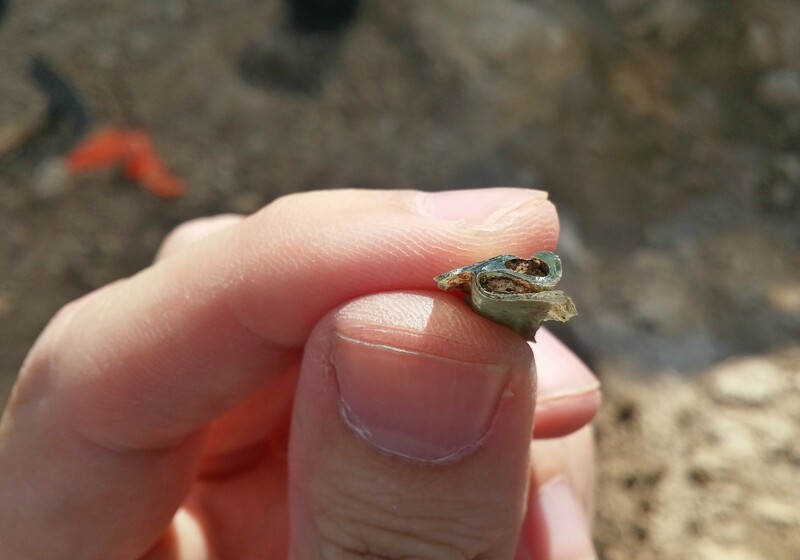 Eventually we found some Roman-age ceramic roof tile pieces, but even more interesting was a rim piece of an ancient glass vessel, curled upon itself in a delicate manner. At around 10:00 am we took a short break to examine the other areas of the dig, to eat and to do a little birding in the nearby grasses. I found a few stonechats, pied wagtails and jackdaws along with the regular Israeli city birds, and I rejoined Ben for some breakfast. The group of schoolchildren left shortly thereafter and we were relocated to a different part of the plaster channel. With the connection of the aforementioned building and the plaster channel still buried, we were given new instructions to define it better. I settled down with a small pick and got to work define the delicate sides while Ben wielded the big pickaxe, clearing away the area beside a bulldozed trench. Yaakov came over to chat with us, telling us that he attended Bar Ilan University as well. One of the hired Arab workers popped over to show us a rock that had broken in half, revealing a crystallised quartz interior. 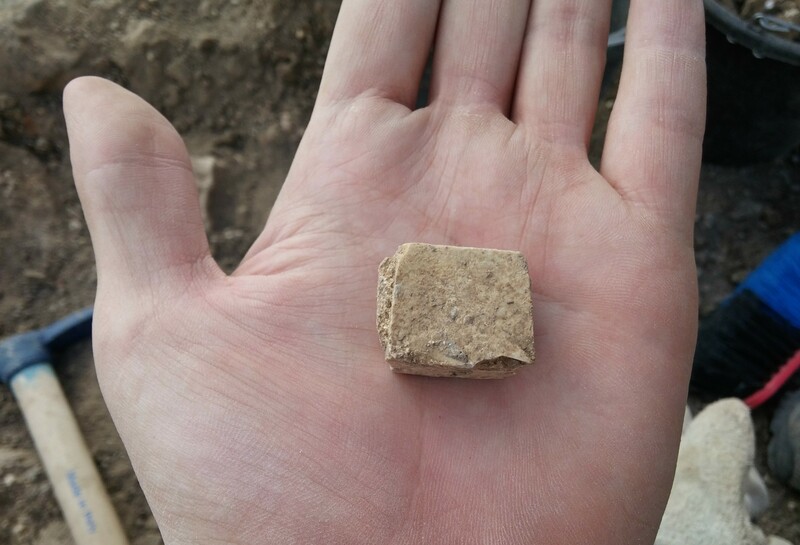 Then, as I cleared away the loose dirt I found myself holding a nearly perfect stone cube. Curious as to what it might be I waited for Yaakov to return, and was then told that it’s a mosaic tile – which makes sense due to the fact that on five of the six sides there was the remains of ancient cement. The hours had passed before us and the hired workers began to pack up, another day at the dig coming to an end. We packed up as well, and said our words of farewell to Yaakov. 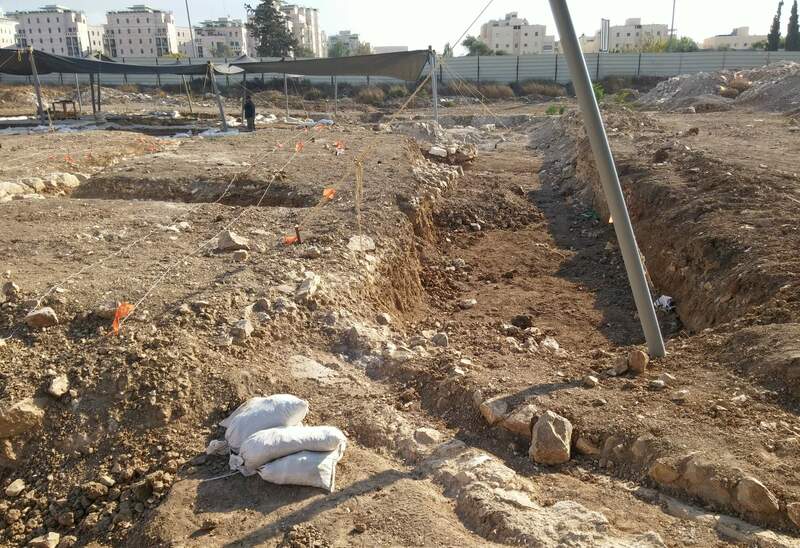 But before we left, there was a special treat for us: a coin had been found earlier by the hired workers, and the dig’s assistant director, Rotem, took us to see it. I was surprised at how small it was, all encrusted and corroded, but it was clearly a coin with some sort of lettering that will be easier to identify after the lab finishes with it. Leaving the site we headed back towards the heart of Jerusalem, specifically to the Machane Yehuda shuk (open market) as we were famished and waiting impatiently for some juicy burgers. We had our late lunch at Burger Market, washed down with bottles of cold alcoholic cider, before browsing the vibrant shuk. 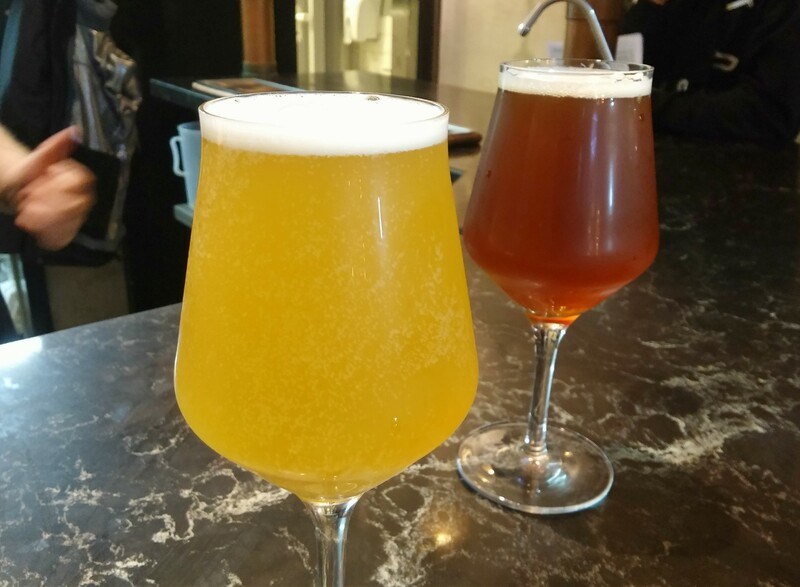 Our last stop was to the newly opened Hatch taproom, where a fun selection of fresh beers are available, in addition to creative sausages. After some samples I settled on a hoppy IPA, very similar to the popular NEIPA, and Ben had a Scottish ale. In added celebration of my birthday, Ben went ahead and ordered us one of the sausages, topped with a mango chutney and chopped onions. It was surprisingly tasty and we had a grand time eating, drinking and talking to the owner, Ephraim Greenblatt, about beers and brewing. At last, we said farewell and took a crowded bus back to Givat Shmuel bringing an end to a very fun and interesting day.